Apr 17 Matisse’s The Dance: Moving in Place? Henri Matisse, The Dance, 1932-1933, oil on canvas; three panels, overall (left): 133 3/4 x 173 3/4 in. (339.7 x 441.3 cm)Overall (center): 140 1/8 x 198 1/8 in. (355.9 x 503.2 cm)Overall (right): 133 3/8 x 173 in. (338.8 x 439.4 cm), The Barnes Foundation, 2001.25.50a,b,c, ©2019 Succession H. Matisse / Artists Rights Society (ARS), New York. The founder of the Barnes Foundation, Albert Barnes, assembled his art collection to educate the public about relationships within art. “Ensembles” of objects from different cultures, periods, and media hang on the gallery walls of the Barnes Foundation to facilitate a more enhanced understanding about these visual connections. 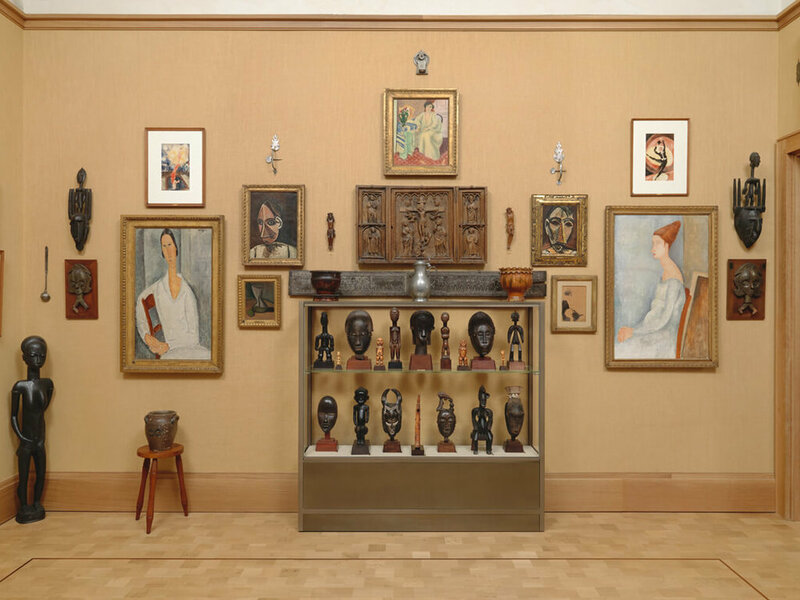 The hanging of a particular painting by Modigliani next to a wooden African face mask seeks to tell a particular story that otherwise may be lost without the objects’ physical proximity. In 1930, Barnes commissioned Henri Matisse to create a large painting, The Dance, to fill the lunettes in his gallery in Lower Merion, Pennsylvania. Almost 80 years later, Matisse’s The Dance and the rest of the Barnes collection moved, with much controversy, to a new building on the Benjamin Franklin Parkway in Philadelphia. While the new Barnes has recreated the layout with the Matisse hanging under the window lintels, has the painting lost something from the move? What would Matisse, who created The Dance to live in a specific location, have thought? Artists generally seek redress under the Visual Artists Rights Act of 1990 (VARA) for threats to the integrity of their works. VARA grants protection to the moral rights of artists of certain works of visual art. These rights include the right to prevent distortion, mutilation, or modification that would prejudice the artist’s honor or reputation. The courts’ interpretation and application of VARA over the past 29 years, however, have prompted confusion over whether the law protects certain types of art, such as site-specific works. While Matisse painted The Dance several decades before the enactment of VARA, the unique history of the painting provides an opportunity to examine the issues regarding VARA and site-specific works. An art historical, as well as legal, analysis permits the consideration that the lack of clarity surrounding whether VARA covers site-specific works derives in part from the ambiguity associated with the artistic concept of site-specific art, especially as applied to paintings. During his decades-long career as an artist, Henri Matisse (1869-1954) worked with a range of media: from his Fauvist paintings with bright colors to the innovative paper cutouts during his last years. Barnes asked Matisse to create a massive painting for the Barnes Foundation during the artist’s visit to the gallery in 1930. The agreement between Barnes and Matisse specified the size and placement of the mural on the southeast wall of the Main Gallery in Lower Merion but allowed Matisse to choose the subject. (Butler 2015). Due to the awkwardness of the proposed site, Matisse had to develop new working methods. He drew enormous figures directly on the canvas with charcoal clamped to the end of a long bamboo pole, and then pinned cutout pieces of paper around the figures, eventually replacing these with paint. (Watkins 2003). Nearing completion of the commission, Matisse learned that he was given incorrect measurements, forcing him to produce a new version of the work with more dancers to fill the space. (Watkins 2003). The Barnes Foundation, Main Room, South Wall. An oil on canvas in three panels, The Dance is a frieze of simplified forms in animated and buoyant poses. The simple flowing line of each dancer accentuates the rhythm of the dance. The contrasting background of blue, pink, and black against the gray figures fuels the energy of the piece. On view high along the south wall of the main room of the Barnes Foundation, the paintings are above three French doors and below the curved arches of the ceiling. Two pendentives drop down to divide the space. The Barnes Foundation refers to The Dance as the “only site-specific work in the collection”. (Butler 2015). Barnes himself directed the hanging of the collection, believing that “a specific context…gives [the work] a specified intended meaning” and that “even a well-intentioned displacement of the collection would change that meaning”. (Nivala 2003, 509). Matisse’s The Dance along with the rest of the collection moved in 2012 into the new Philadelphia space that replicates the dimensions and layout of the original Lower Merion location. Non-economic and personal in nature, moral rights encompass the belief that an artist’s spirit and personality injected into the work during the creative process should be protected and preserved. (Carter, 71 F.3d at 81). VARA recognizes the moral rights of attribution and integrity for artists of “works of visual art” as defined by the Act. Moral rights statutes such as VARA have a dual purpose: to protect both the artist and the public against the alteration and destruction of culture. (Merryman 1989, 343-44). Referred to as a right of integrity, the artist of a work of visual art, subject to certain limitations, has the right “to prevent any intentional distortion, mutilation, or other modification of that work which would be prejudicial to his or her honor or reputation”. (17 U.S.C. § 106A(a)(3)(A)). The statute qualifies this right, with the “public presentation exception”, by providing that a modification of a work of visual art “which is the result of conservation, or of the public presentation, including lighting and placement, of the work is not a destruction, distortion, mutilation or other modification” as described in the right above, “unless the modification is caused by gross negligence.” (17 U.S.C. § 106A(c)(2)). VARA’s legislative history further explains that the “location” of a work “is a matter of presentation which comes within the presentation exclusion”. (H.R. Rep. No. 101-514, at 17 (1990)). The statute seems to state rather clearly that an object’s change in location does not result in the modification, destruction, or mutilation that would violate an artist’s right of integrity, unless there is gross negligence. So where does the confusion relating to site-specific works under VARA reside? The court in Phillips v. Pembroke Real Estate went a step further than the statutory language and held that VARA excludes all site-specific art from its protection. (Phillips, 459 F.3d at 143). In this case, the defendant removed the plaintiff’s sculptures commissioned for a specific park. The plaintiff argued that because the location was integral to the works, the removal “impermissibly alter[ed] them”. (Phillips, 459 F.3d at 135). Disagreeing with the plaintiff, the court supported its conclusion that VARA does not apply to site-specific art by pointing to the public presentation exception. According to the court, VARA would not “protect site-specific art and then permit its destruction by removal from its site pursuant to the statute's public presentation exception.” (Phillips, 459 F.3d at 143). Five years later, another court in Kelley v. Chicago Park District questioned the conclusions of the Phillips case suggesting that site-specific art is not categorically excluded from VARA protection. (Kelley, 635 F.3d at 306-07). While courts often disagree over the interpretation of statutory language, is there something in particular to site-specific art that prompts such divergent views? The confusion in the law partially derives from the courts’ attempts to apply the law indiscriminately to an artistic category and not an individual work. The Phillips court categorically banned site-specific works from VARA protection. With this ruling, however, the court failed to recognize that VARA could apply to site-specific art, but just not protect it in every situation. (Nordby 2007, 188). The presence of the building exception within the Copyright Act (section 113(d)) suggests that Congress did not intend to exclude all site-specific works from the purview of VARA and moral rights protection. (Kelley, 635 F.3d at 307). Section 113(d) outlines certain conditions when a building owner can or cannot remove a visual artwork that is part of a building without violating the artist’s moral rights under VARA. (17 U.S.C. § 113(d)). Even under this exception, works “specific” to a building site may be eligible for moral rights protection in certain circumstances. The Phillips all-or-nothing approach, thus, is unwarranted and excessive. The Barnes Foundation, Room 22, South Wall. 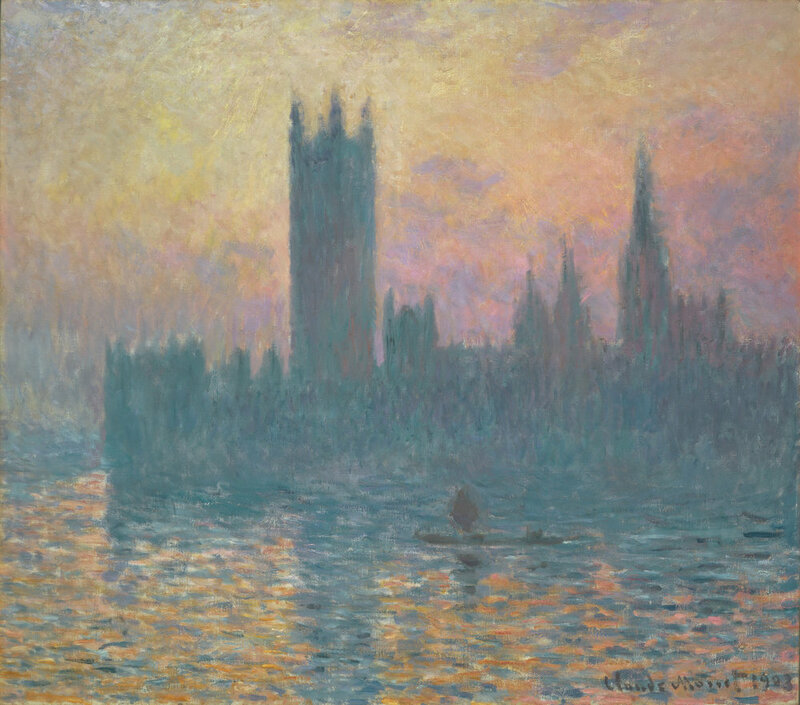 The nature of art, moreover, exacerbates the deficiencies of the Phillips approach to art. Art does not always fit into the neat, contained subcategories preferable in law. The Barnes collection demonstrates the limits to understanding art when restricting attention to a specific category, the boundaries of which may be fluid and even indeterminate. Barnes arranged his collection unchronologically, forming various tableaux or “ensembles” designed to highlight aesthetic affinities along with thematic differences. (Barnes Foundation 2019). Seemingly disparate works displayed together aim to show various narratives that cross time and media. Henri Matisse wrote of the Barnes Foundation in 1930: “There the old master paintings are put beside the modern ones … and this bringing together helps students understand a lot of things that academics don’t teach.” (Flam 1995, 92). The Barnes collection demonstrates the ineffectiveness of generalizing and oversimplifying considerations of art, such as that practiced by the Phillips court. The law also cannot comprehend the scope of the resulting loss or destruction from moving site-specific art. Moving a site-specific work may in some instances damage or destroy the physical fabric of the work. The law somewhat acknowledges this type of loss with the presence of such terms as “distortion” and “mutilation” in the statutory provision outlining actionable harm. But moving a site-specific work may not result in physical damage only but also the loss of irretrievable historical or social context: the basis of the work’s interpretation and circumstances of creation derived from its physical location. Physical preservation, therefore, may not be enough as “[e]very cultural object is to some extent part of a larger context from which it draws, and to which it adds, meaning. Separate from its context…the object and the context both lose significance.” (Merryman 1989, 345). Changing the location of certain works, thus, may result in both physical harm and conceptual destruction, impacting the work’s meaning and value. (Shipley 2014, 1035). The history and creation of Matisse’s The Dance demonstrates that “site” includes more than merely the work’s physical location but contributes to a work’s “context”. Commissioned to fill a particular space, Matisse had to adapt his working methods for The Dance and even painted various versions after a miscalculation in dimensions. Matisse’s creativity and intentions provide important context in understanding the work and how it flows in the space. Similarly, the location of The Dance high above the viewer and across an expansive space allows the characteristic human figures of Matisse’s style to leap and prance in between the pendentives so remarkably as compared to other versions of The Dance. The relationship of Matisse’s The Dance to the other paintings in the Main Room also offers important context by comparing the female form within Seurat’s Poseuses hanging nearby or mirroring the swirly, abstract forms in a 17th-century iron door handle hanging underneath. All of these concepts overlap and contribute to the “context/site” of the work. Context’s significant yet broad and intangible qualities derived from the site complicate the definition of “site-specific works.” The law cannot regulate or protect context when the definition of site-specific art is so vague. When is art really site-specific? VARA does not define site-specific art, although the Phillips court stated that “[t]o remove a work of site-specific art from its original site is to destroy it.” (Phillips, 459 F.3d at 129). One may thus extrapolate a definition of site-specific art as a work that is destroyed when moved from its original site. The Guggenheim has defined site-specific art as “an artist’s intervention in a specific locale, created a work that is integrated with its surroundings and that explores its relationship to the topography or its locale, whether indoors or out”. (The Solomon R. Guggenheim Foundation 2019). Even with this definition, it is unclear, however, when a work is sufficiently “integrated with its surroundings”. Do church icons, works originally intended and integrated in a particular sacred space but now under glass in a museum, qualify as site-specific works? Museums by their nature integrate all art within its surroundings with interrelated space and context through wall labels and other interpretative material. (Grant 2014). In some cases, site-specificity may act as more of a stylistic preference of the artist. (Kwon 1997, 98). Matisse’s The Dance demonstrates the futility of answering these questions and perhaps even referring to certain paintings as “site-specific”. While works painted directly onto buildings, for example, may risk physical damage, a canvas created for a specific space, such as The Dance, does not carry that same degree of risk. The previous section above discusses the relationship of the painting to its space and location. 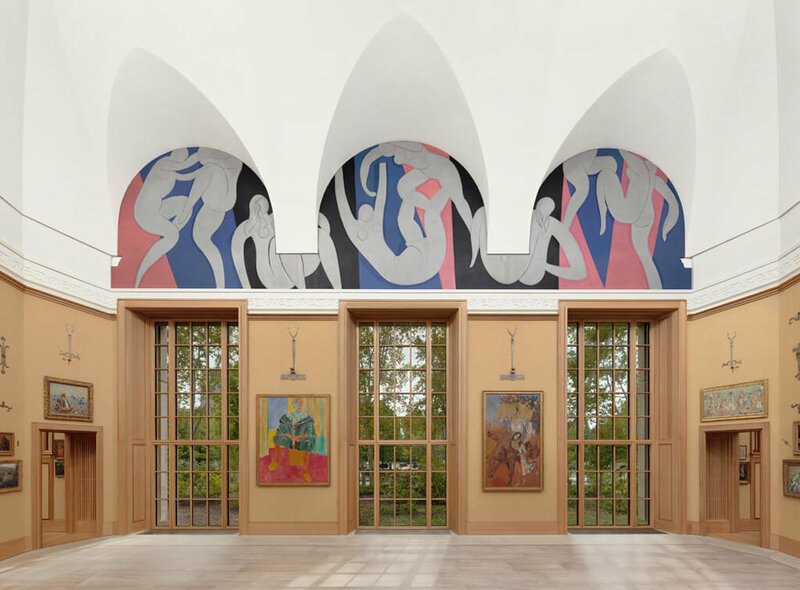 The Dance fits under the curving arches of the ceiling, but the painting does not currently reside in the specific space Matisse intended. It is puzzling how the Barnes can refer to The Dance as site-specific while the multiple canvas panels comprising the painting were moved from the original physical space to a different, albeit replicated, space, without destroying the painting. While the new Barnes space “recreated” the former space, the “specificity” of the space is still somewhat diluted, especially as “specific” implies single or unique. This conundrum leads to the question, can paintings be truly site-specific? While ambiguity still remains regarding VARA and site-specific works, a reconsideration, however, of the meaning and significance of the specificity of a work’s location may reduce the impact of such confusion. In an attempt to find a solution, a complete prohibition against the movement of works, while overextending the purpose of VARA, would harm artists by interfering with the current and potential owners’ property rights to such an extent to discourage future art commissions. So how can the law better preserve or acknowledge the conceptual context of a work if the physical site cannot be perpetually preserved? The speculative nature of context would pose challenges for creating a new legal cause of action. Moreover, failure to comprehend or appreciate the work would not necessarily amount to sufficient reputational harm under the law. Increased knowledge of conceptual context held especially by those in the courts, government, and artist advocates, may, therefore, provide a more sustainable approach for clarification. To advocate for this potentially viable solution, the artistic community carries great responsibility in recording and communicating the importance of context. In order to assist in fashioning convincing legal arguments, the artistic community should reconsider the definition and application of the term “site-specific”. The history of Matisse’s The Dance, specifically in the last decade, reveals that the definition of “site-specific” may be more nuanced than previously considered, offering as an example a “moveable site-specific” work. The Barnes relocation into a “replica” space shows a difference between context (more important to the artistic community) and physical location (what the law really understands). Does the term “site-specificity” address both of these? An alternative term that still acknowledges the artist’s preference, the object’s history, and the spatial relationships may resolve some ambiguities in the law. Referring to paintings that are intended for a specific space but moveable without physical damage as “site-associated” rather than “site-specific” may help courts and non-artists delineate between truly “site-specific” works and those that are not. An alternative term that reduces the rigidity of “specific” may prevent lawyers and the courts from dancing around the more important issues relating to the integrity of the works for the benefit of both the artist and the public. Barnes Foundation. 2019. About the Collection. Accessed February 3, 2019. https://www.barnesfoundation.org/whats-on/collection. Butler, Karen K. 2015. Matisse in the Barnes Foundation. New York: Thames & Hudson. Flam, Jack. 1995. Matisse on Art. Berkeley and Los Angeles, CA: University of California Press. Grant, Daniel. 2014. Why 'Site-Specific' Isn't So Specific. November 26. Accessed February 3, 2019. https://hyperallergic.com/158338/why-site-specific-isnt-so-specific/. Kwon, Miwon. 1997. "One Place After Another: Notes on Site Specificity." October 80: 85-110. The Solomon R. Guggenheim Foundation. 2019. Site-specific art/Environmental Art. Accessed February 3, 2019. https://www.guggenheim.org/artwork/movement/site-specific-artenvironmental-art. Watkins, Nicholas. 2003. Matisse, Henri; Grove Art Online. Accessed February 3, 2019. https://doi.org/10.1093/gao/9781884446054.article.T055953. H.R. Rep. No. 101-514 (1990). Kelley v. Chicago Park District, 635 F.3d 290 (7th Cir. 2011). Phillips v. Pembroke Real Estate, Inc., 459 F.3d 128 (1st Cir. 2006). Carter v. Helmsley-Spear, Inc., 71 F.3d 77 (2d Cir. 1995). Merryman, J. H., The Public Interest in Cultural Property, 77 Calif. L. Rev. 339 (1989). Nivala, John, Droit Patrimoine: The Barnes Collection, the Public Interest, and Protecting Our Cultural Heritage, 55 Rutgers L. Rev. 477 (2003). Nordby, Rachel E., Off of the Pedestal and Into the Fire: How Phillips Chips Away at the Rights of Site-Specific Artists, 35 Fla. St. U. L. Rev. 167 (2007). Shipley, David E., The Empty Promise of VARA: The Restrictive Application of a Narrow Statute, 83 Miss. L.J. 985 (2014). Sign up for The Legal Palette updates. Matisse’s The Dance: Moving in Place? Jan 16, 2019 Whistler’s Nocturne in Black and Gold: An Impression of Truth & Justice? Apr 17, 2019 Matisse’s The Dance: Moving in Place? Nov 21, 2018 Magritte’s La condition humaine: A tax on the artist’s mind? Mar 21, 2018 Brancusi’s Bird in Space: Is it a bird or is it art? Jun 20, 2018 David Smith’s Circle II: Too Big To Tax? Mar 21 Brancusi’s Bird in Space: Is it a bird or is it art? The Legal Palette will only use this subscription to inform readers of new updates. No spam here!